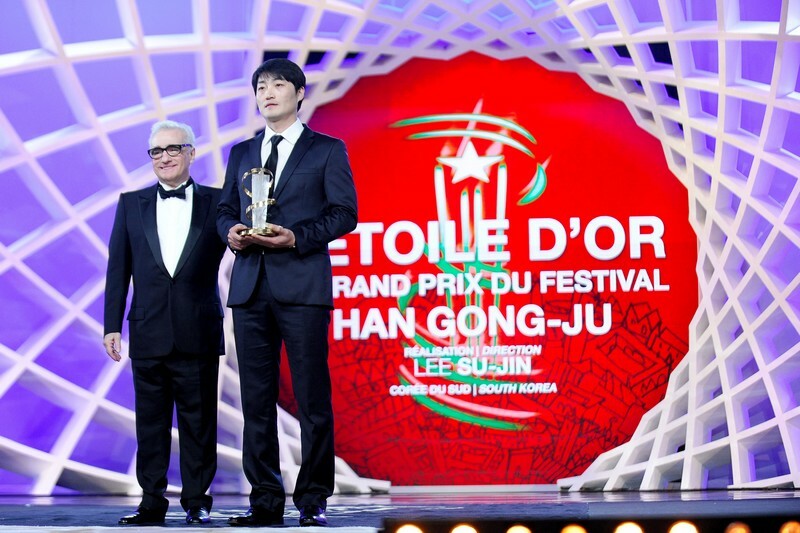 LEE Su-jin’s debut film Han Gong-ju is off to a great start on the international festival circuit as yesterday it walked away from the Marrakech International Film Festival with the Golden Star (L’Etoile d’Or), the festival’s top prize. The award was handed out by a jury featuring actors Patricia Clarkson and Marion Cotillard, directors Fatih Akin, Anurag Kashyap, Paolo Sorrentino and PARK Chan-wook, and jury president Martin Scorsese. Han Gong-ju premiered at the 18th Busan International Film Festival in October, where it won the CGV Movie Collage award and shared the Citizen’s Reviewers Award with Shuttlecock, another Korean debut. Lee’s feature also picked up a special award at the Seoul Independent Film Festival, which ended on Thursday (December 7th). The film tells the story of a high school girl who is forced to move homes and schools following an incident at her previous school. She becomes withdrawn in her new environment but the truth of her past eventually catches up with her. Marrakech marked Han Gong-ju’s first appearance overseas. The Stone, the debut film of the late CHO Se-rae, was also featured in the lineup. The festival ran from November 29th to December 7th.